During the PlayStation E3 Press Conference in June, Sony announced that PlayStation is the new home of Call of Duty, bringing early access to the Black Ops III Beta along with upcoming DLC. 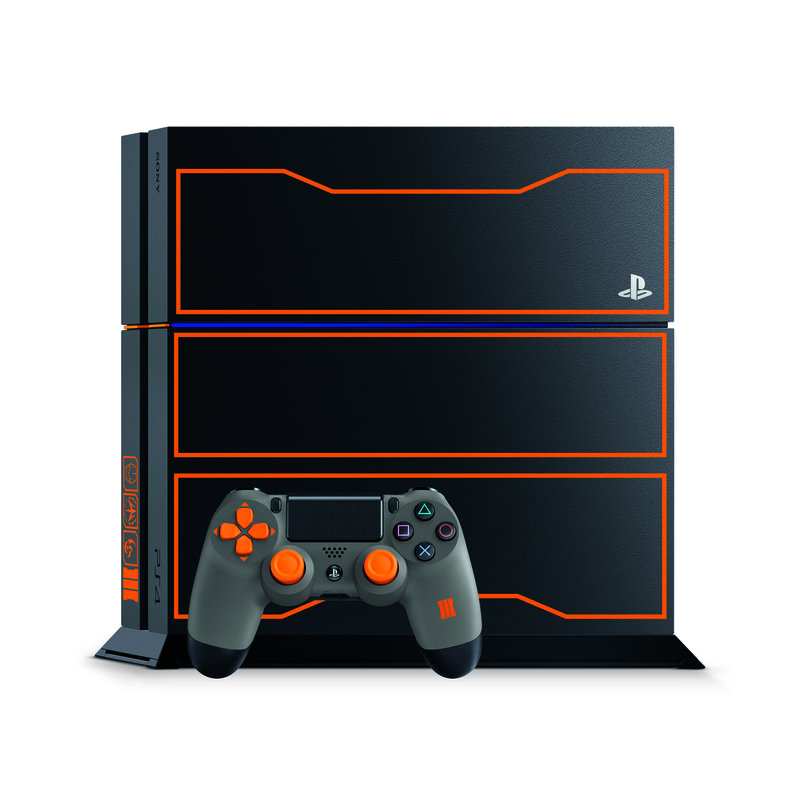 Now you can play early content in style with the Call of Duty: Black Ops III Limited Edition PlayStation 4 Bundle, available on November 6th. Also included is the standard edition of the blockbuster game, along with the bonus NUK3TOWN multiplayer map. * That’s right, the most popular map in Black Ops history re-imagined for a new generation of play. The PS4 included has a 1TB hard disk drive, the first of its kind in North America. That’s plenty of room for the DLC — which comes 30 days earlier on PS4 — and saved videos of your best matches. That Share button is going to get a workout, too — our 3.00 system software update for PS4 adds the ability to share short video clips directly to Twitter natively, making it much easier to share your multiplayer feats with the world. The bundle will be available alongside Call of Duty: Black Ops III’s launch for $449.99 (MSRP), and pre-orders start today. The bundle will also be released in Canada for $549.99 CAD (MSRP). We hope you like our new look! This bundle represents the next step in our collaboration with Activision, Call of Duty, and Treyarch. The beta for Black Ops III has me itching for more — and I bet many of you feel the same. With Black Ops III’s November 6th launch right around the corner, we won’t have to wait long to see Treyarch’s vision fully realized on PS4. See you online! *NUK3TOWN DLC Bonus Map available on PS4 and select other platforms (Bonus Map not offered on all platforms). Actual platform availability subject to change. Limited time only, at participating retailers. Internet connection required.